Paytm Offer: Get 100% Cashback on Four Horror Movie Booking, Horror fans, 2019 has a lineup of some of the most awaited movies. Starting from The Curse Of The Weeping Woman to Doctor Sleep, these movies are bound to give you a chilling treat. To make sure that you don t miss out on any of these, we present you the Horror Fest Pass.One pass that lets you watch four of the most anticipated releases from the house of Warner Brothers for just Rs. 399. 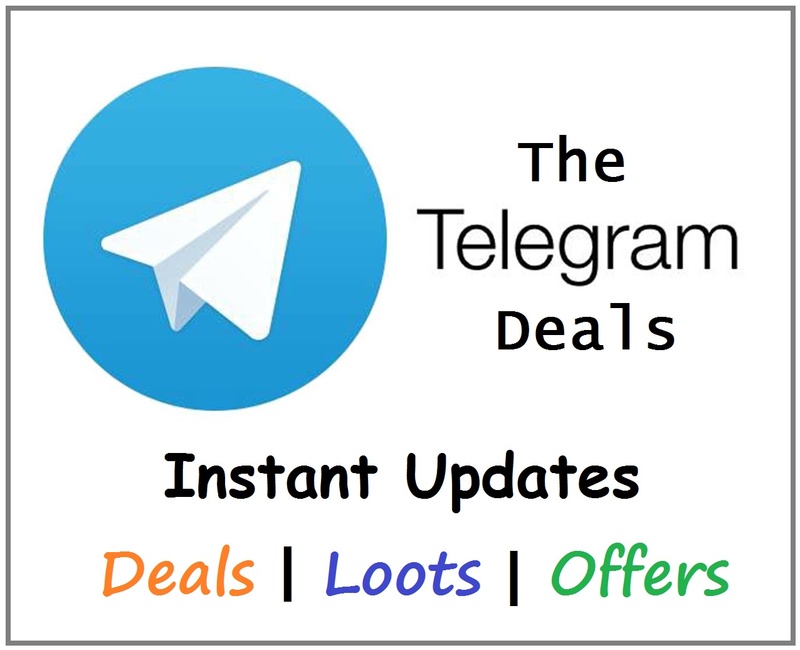 Buy now on Paytm and get 100% Cashback* up to Rs. 200 on 1 ticket for every booking. Hurry, get your pass and join the horrorfest celebration! How to Get 100% Cashback on Four Horror Movie Booking? Then you will receive a special code. Use this code on Paytm app to while movie booking. 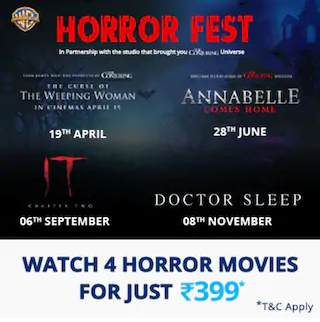 ‘Paytm Warners Exclusive Horror Fest Offer ‘entitles the user to watch Warner’s -The Curse of the Weeping Women, Annabelle Comes Home, IT 2 & Doctor Sleep’. Upon cancellation of tickets purchased using movie pass, the pass usage against cancelled tickets will not get reset and remain counted as used.